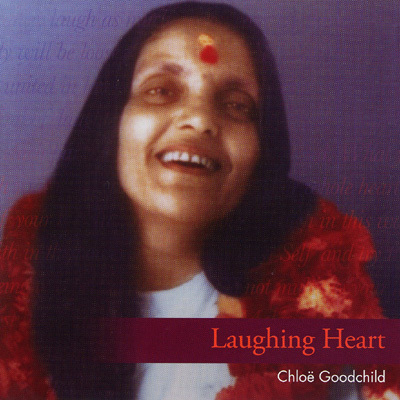 Laughing Heart is a response to the call of Oneness within every soul. These spiritual chants, mantras and songs dissolve separateness and fear, awakening a wisdom inside you, older and deeper than the polarity of all conflict. The simple recurring melodies have a healing impact that release tension, invoke deep stillness and unified awareness. They will impact your body and soul, inviting you to join in, or simply be still and receive, as an inner music unfolds. Silence is essential in this musical journey, so we have ensured that there is enough space between tracks, for you to absorb the full impact of each chant, before moving to the next one. Listen to the CD as a whole, or place one chant on repeat. Both ways will deepen your contemplation and nourish your everyday life. Here at last are some long-awaited favourites, including Om Anandamayi and Sword and Flower, as well as new longer versions of Om Tara and Heart Sutra.